In recent years, Valletta, once a British garrison town, has been cleverly changing its image. Malta has long been a popular package tour destination, perfect for Brits who want sunshine where everyone speaks English and where they serve up meat and two veg. 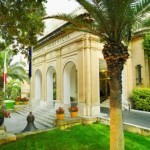 Now it seems more Italian, there are boutique hotels, and last year Valletta was the European Capital of Culture. 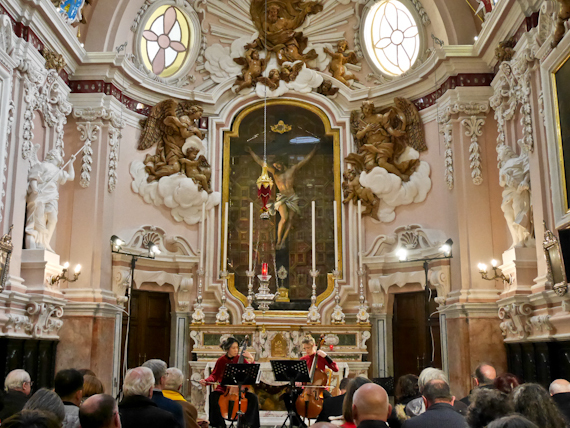 It’s also been staging the International Baroque Music Festival every year, since 2013, and it takes place in architectural gems such as the sumptuous Aula Capitolaire in Mdina Cathedral, the St John’s Co-Cathedral, and the Oratory of the Crucifix in Senglea. And don’t be worried if it all seems rather highbrow – there’s also a concert of Barock ‘n’ Roll including classical renditions of Chuck Berry, Elvis and Ray Charles. 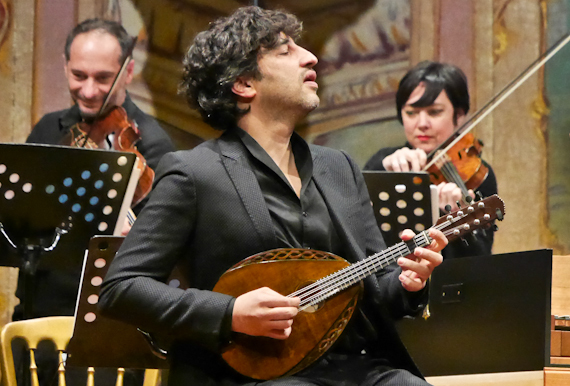 The opening night is in the 1731 Teatru Manoel with a concert entitled Extravaganzas for Mandolin performed by Capella Gabetta, led by Andres Gabetta and Avi Avital on the mandolin. The theatre has been lovingly restored to its original 18th-century state, although they’ve installed heating, very important in the winter. The Capella kicks off with Vivaldi’s Concerto for 4 violins and cello in B Minor, a rousing opener showcasing their ensemble playing. Then Avi Avital, the young Israeli mandolin player, leads us through Bach’s Concerto for Mandolin in D Minor, a transcription of his first concerto for harpsichord and strings from 1734. The acoustics of theatre are perfect, no amplification is necessary and Avital’s virtuoso playing cuts through the auditorium. He comes back later for Georgian Sulchan Tzindase’s Folk songs and Bartok’s 6 Romanian Folk Dances, not exactly baroque but entertaining nevertheless. In the second half, there’s another display of fireworks when Andres Gabetta tackles Vivaldi’s Violin Concerto in D Minor, with sympathetic accompaniment, from his musicians. 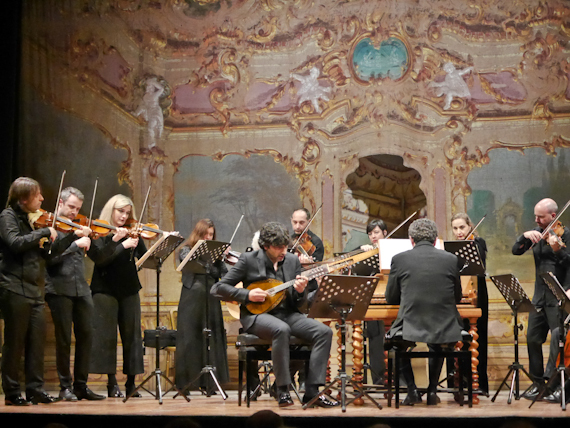 Later I’m back in the Teatru Manoel for music by Vivaldi, Telemann and Handel performed by the French Ensemble Matheus led by Jean-Christophe Spinosi. Soprano Emilie Rose Bry delivers passion in Vivaldi’s aria Zefiretti Che Sussurrate, from Ercole sul Termodonte, and his motet, In Furore Iustissimae Irae. She also brings humour to Handel’s Aria, Un Cenno Leggiadretto. 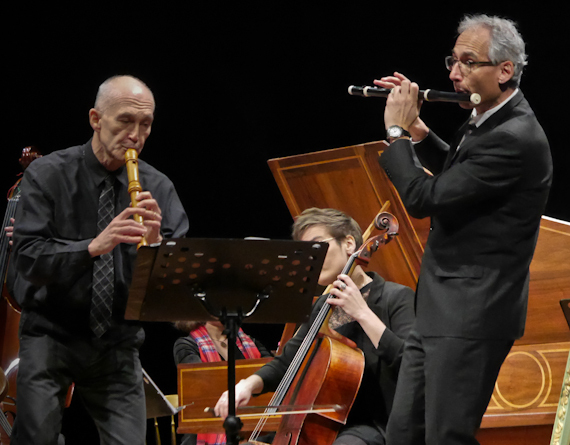 There’s more fun to be had in Telemann’s Concerto for 2 flutes in E minor with Jean-Marc Goujon and Sébastien Marcq bringing wit and energy to their playing. It seems the world of baroque music is not quite as stuffy as you’d imagine and each group of performers stamp their character on the pieces. 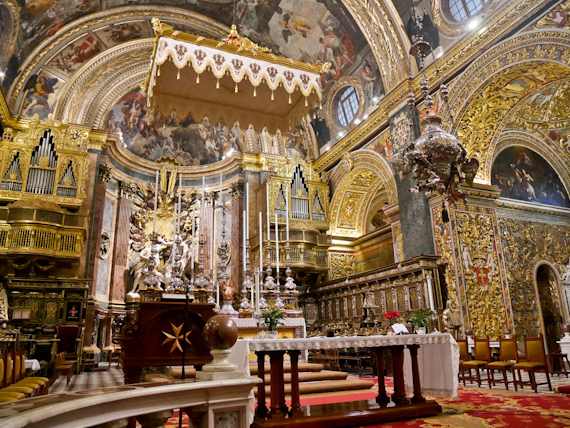 Perhaps the highlight takes place in the impressive surroundings of St. John’s Co-Cathedral, dating from 1573, and a riot of gilded baroque decoration. The floor consists of 400 ornate marble gravestones covering the tombs of the Knights of St John who died in Malta. We take our seats above them to hear a performance of Bach’s Goldberg Variations arranged for organ by Hansjörg Albrecht, tonight’s performer. Of course, the organ keyboard is hidden from view, although a video screen allows us to watch him play. As the thunderous chords bellow out inside the cathedral, I turn my eyes upwards to Calabrian artist Mattia Preti’s paintings of the life of St John from the 1660s. The organ, though, is not old but was built in 1960 by the Italian Mascioni company. Albrecht utilises much of the cinematic power of the pipes, adding a different dimension to the Variations, and he really pulls out all the stops. The Valletta International Baroque Festival runs until 26 January 2019. 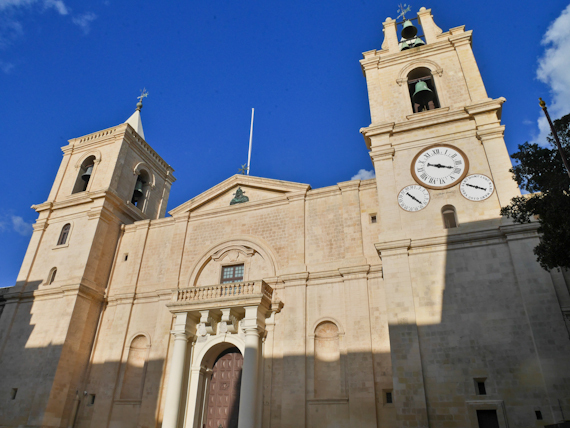 Air Malta flies direct from Heathrow to Valletta daily. 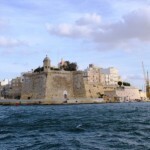 Visit Malta has information about the island.